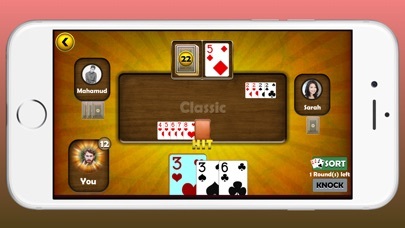 Tonk is a kind of knock Rummy or variation of Rummy. Played with one standard deck of 52 cards is used without jokers. Card in each suit rank, from low to high. The cards have deadwood values as follows : -Ace have 1 points -Face cards J,Q,K => 11 , 12, 13 respectively points. -Rest of cards have worth their spot Index value points. 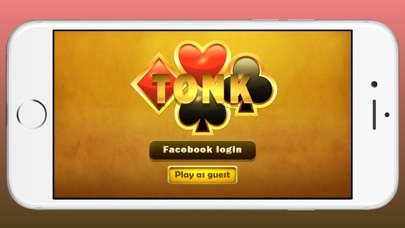 =Goal Of Game -In Tonk (Tunk) card game 5 cards are dealt to each player. The next card is placed face up on the table to start the discard pile, and the remaining un-dealt cards are placed face down in a stack beside the discard pile to form the stock. 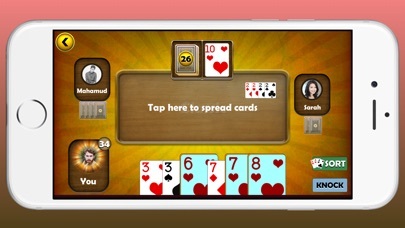 -The goal of the game is to spread cards where cards can be combined into Runs (Sequences) and Trios (Books) , and the point value of the remaining unmatched cards (deadwood) is low. 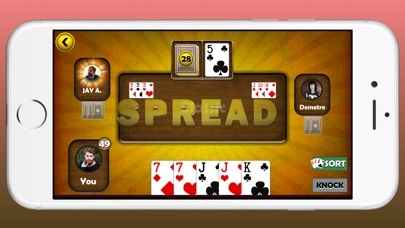 -User Options to spread card with valid suit. -Also Hit options on other users suit Ex. hearts of 7,8,9 on deck, User have options to hit hearts of 6 or 10, On this Sequences. 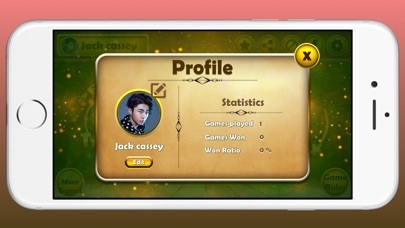 -End of the game lowest points user won the game. -With basic rules 49 ,50, 13 or lower than 13 user auto declare result. =Features -Stunning graphics and free available with all devices iPhones,iPads,iPods. 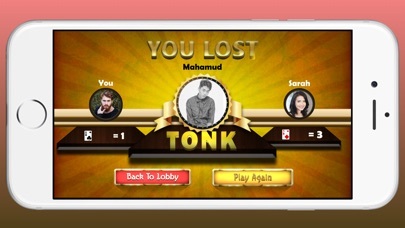 Tonk Card Game is a popular time passing for lunch breaks and family game nights. Thank You.